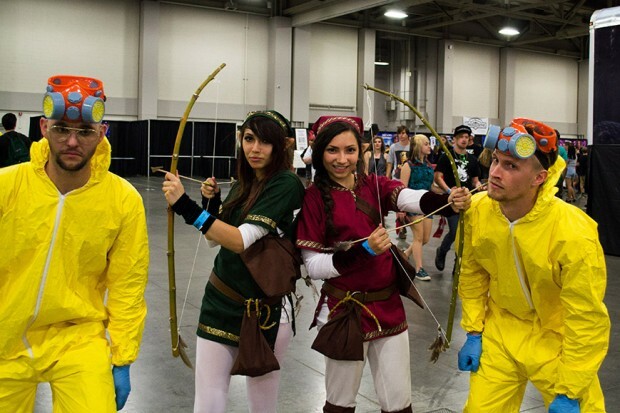 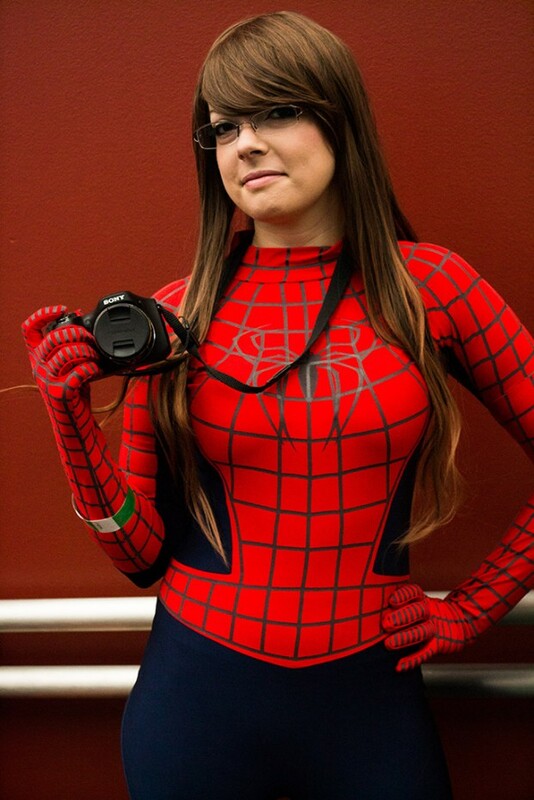 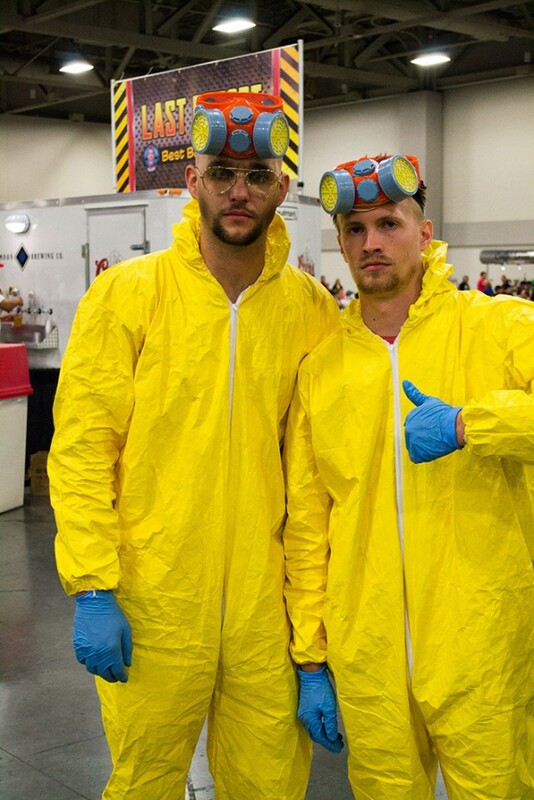 “Globe” photographer James Nguyen returned to the Salt Palace Convention Center on Sept. 6 for a second action-packed day at Salt Lake Comic Con 2013. 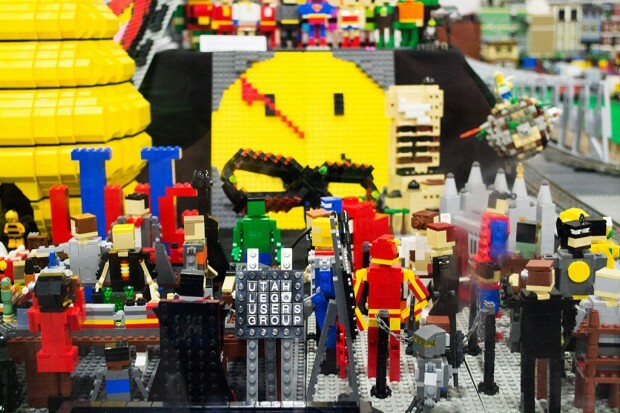 The intricate work of the Utah Lego Users Group on display at Salt Lake Comic Con 2013. 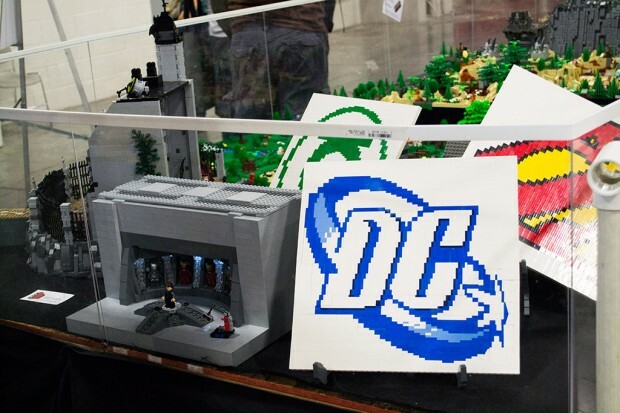 The intricate work of the Utah Lego Users Group on display at Salt Lake Comic Con. 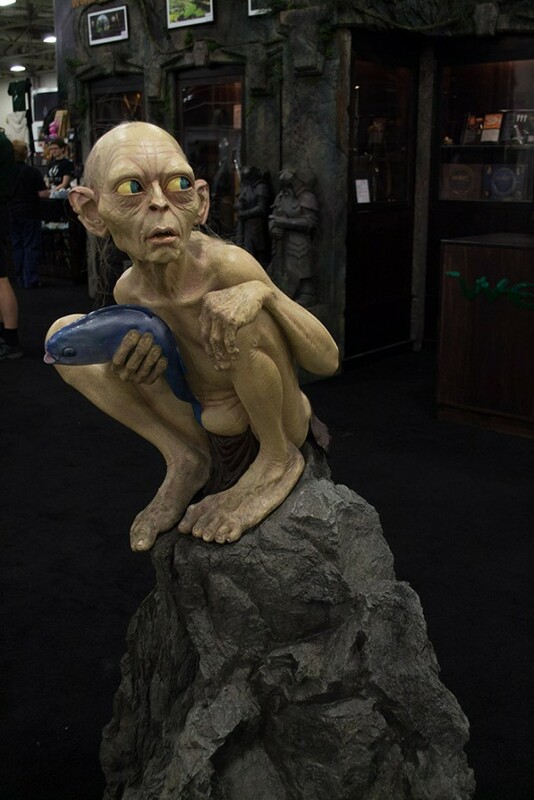 Gollum is on display at the WETA Workshop during Salt Lake Comic Con 2013. 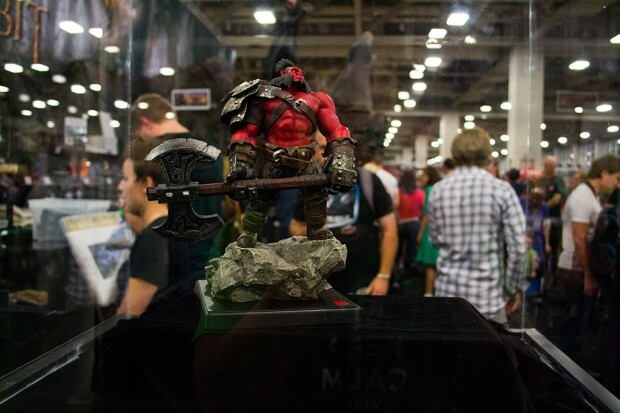 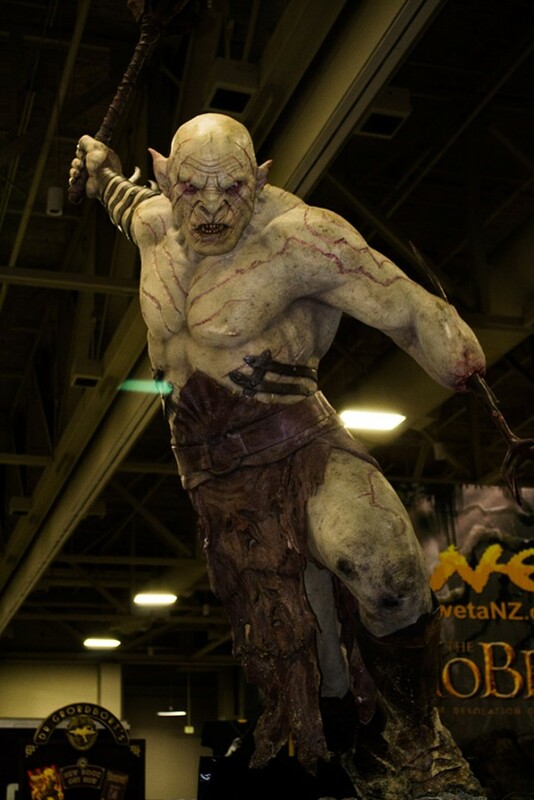 Orc on display at the WETA Workshop during Salt Lake Comic Con 2013. 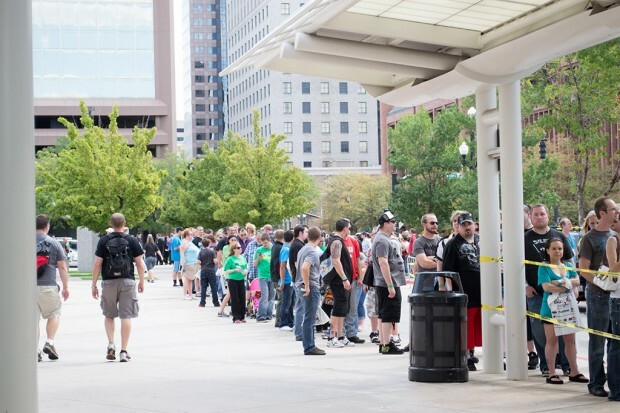 The line wrapping around the outside of the Salt Palace Convention Center. 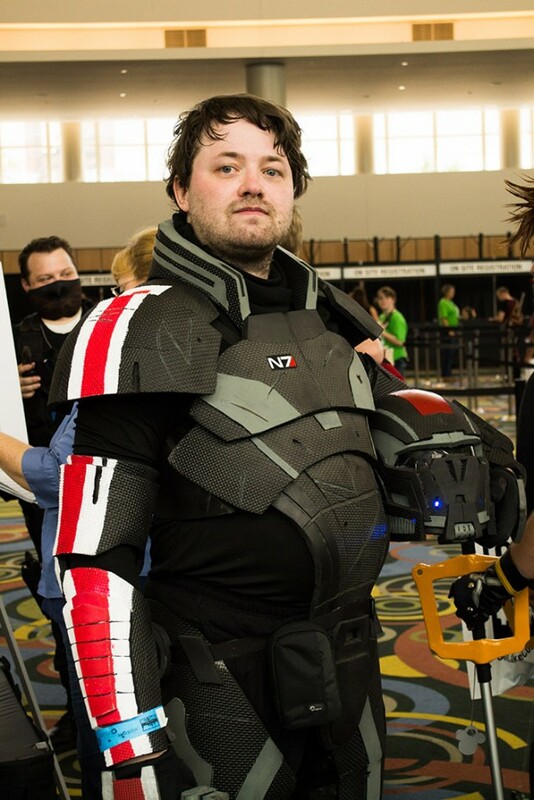 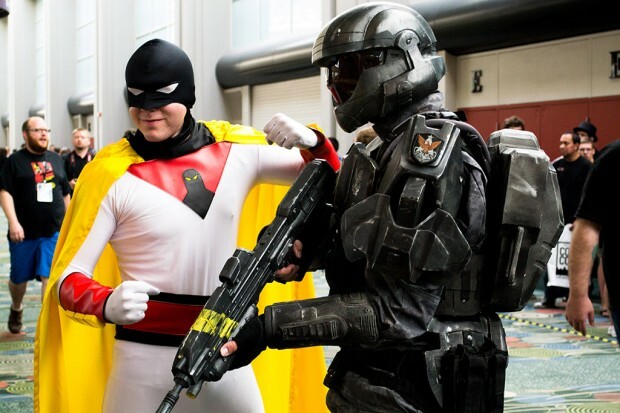 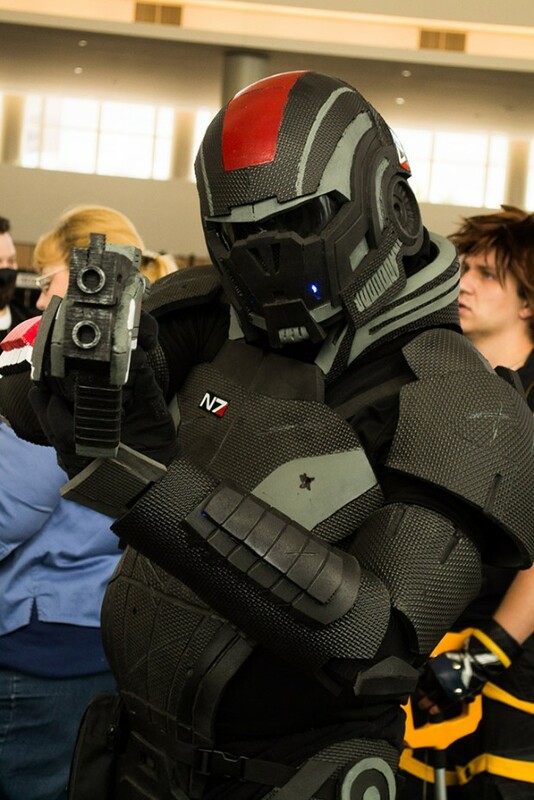 Cosplayer Matt dressed as Commander Shepard from the Mass Effect game series for Salt Lake Comic Con. 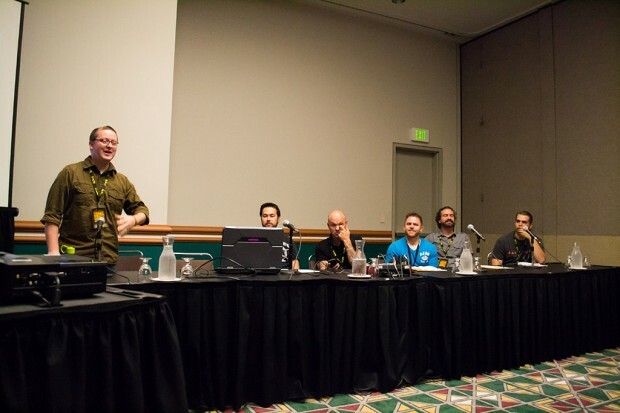 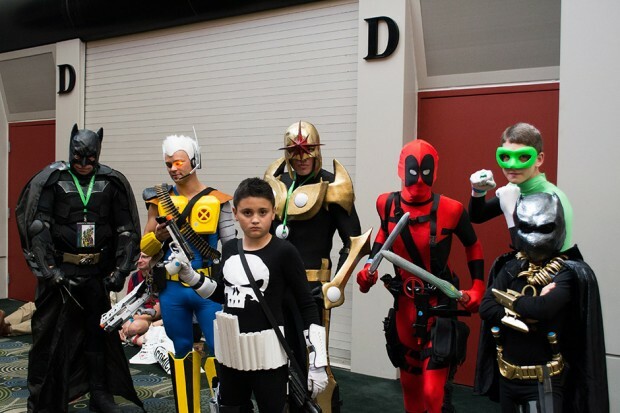 From left to right: Adam Hunter, Taylor Maw, Dave Hilden, Mac McCann, Nathen Riddle, Steve Fox present at Salt Lake Comic Con 2013. 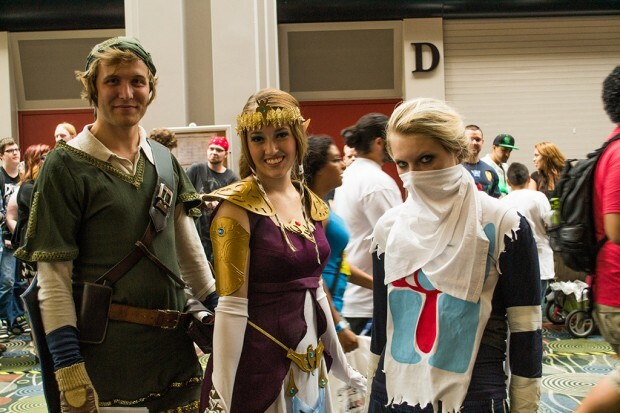 Constantine in Tokyo (left), Nicole Marie Jean, and Hunguesta Hollaway presenting “Cosplay Make-up and Techniques” at Salt Lake Comic Con 2013. 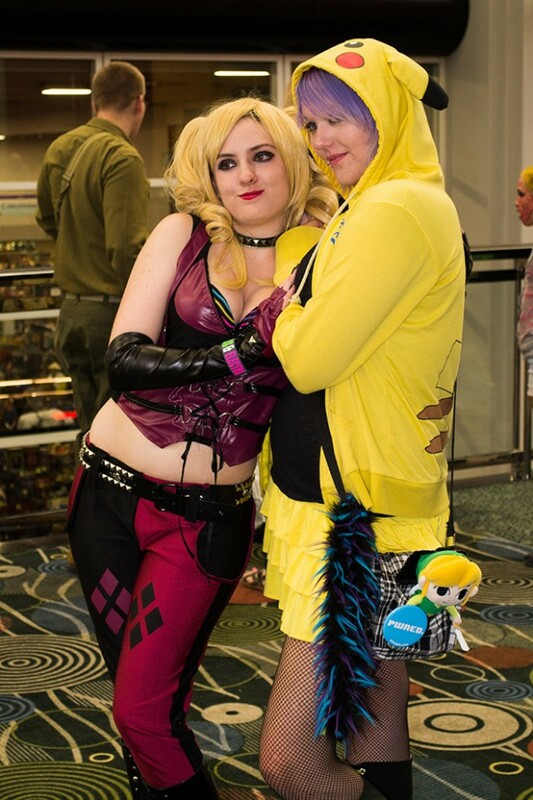 Constantine Tokyo (left) and Nicole Marie Jean during the “Cosplay Make-up and Techniques” presentation at Salt Lake Comic Con 2013. 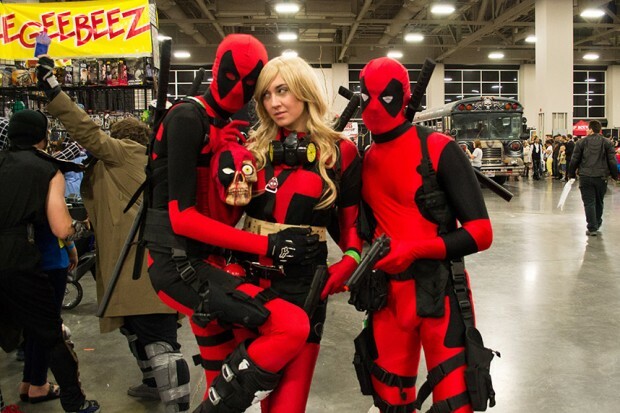 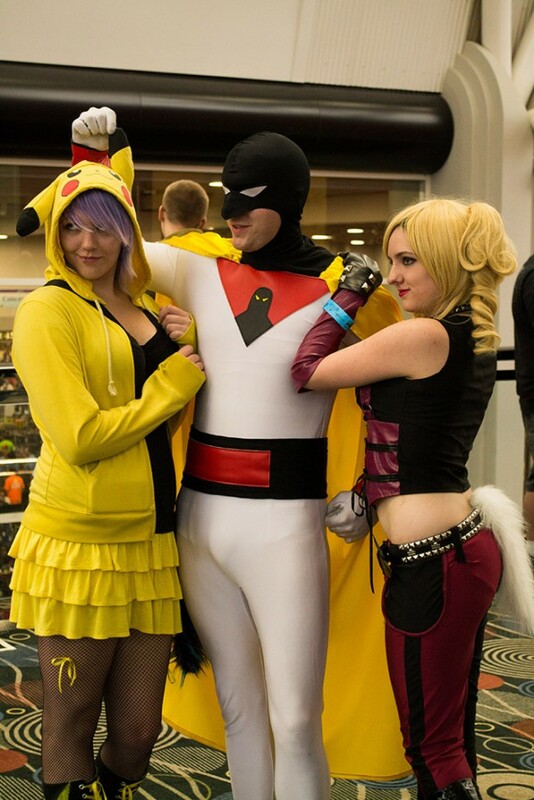 From left to right: Julie (Pikachu), Space Ghost, Chelsea (Harley Quinn) at Salt Lake Comic Con 2013. 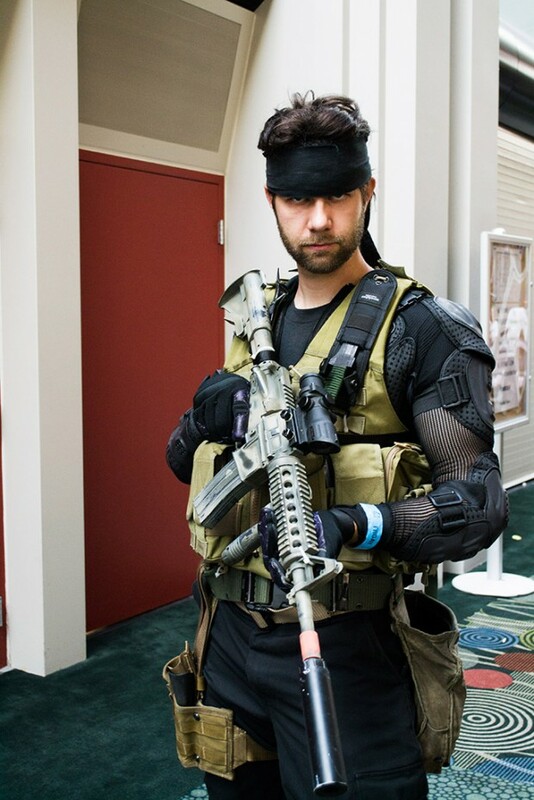 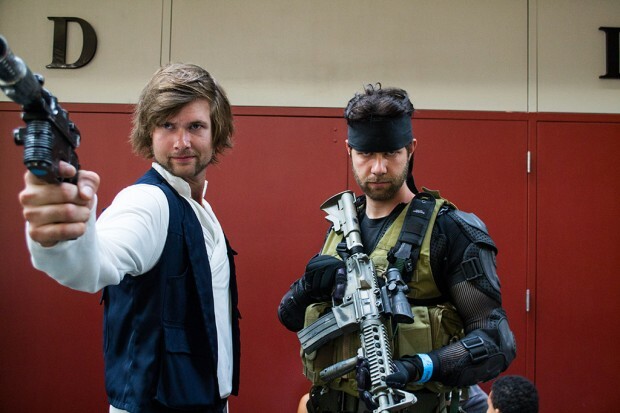 Ben Hetlin attends Salt Lake Comic Con as Solid Snake from the Metal Gear series. 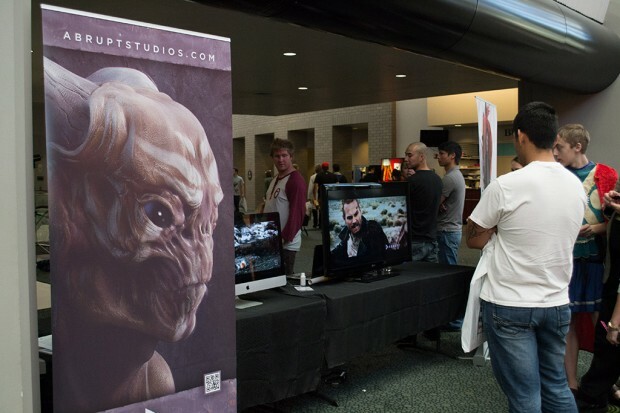 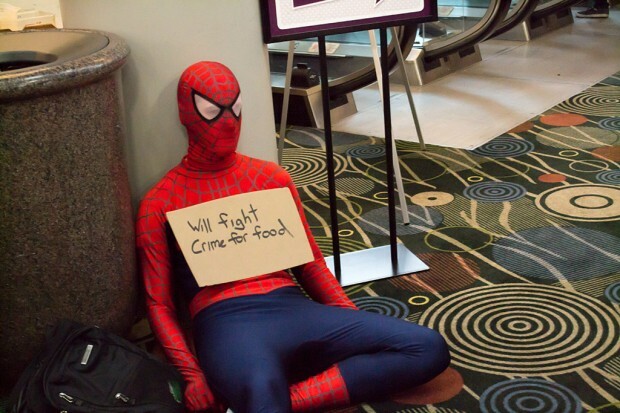 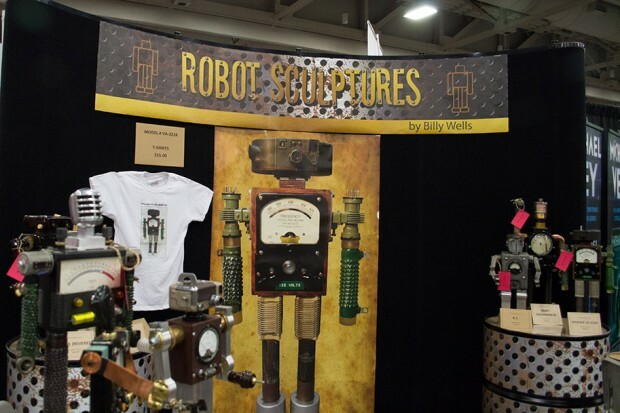 Abrupt Studios has a booth at Salt Lake Comic Con 2013. 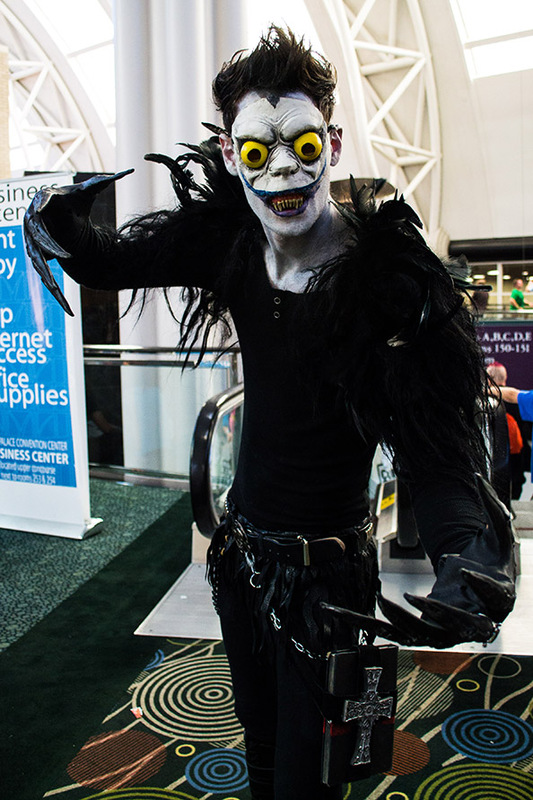 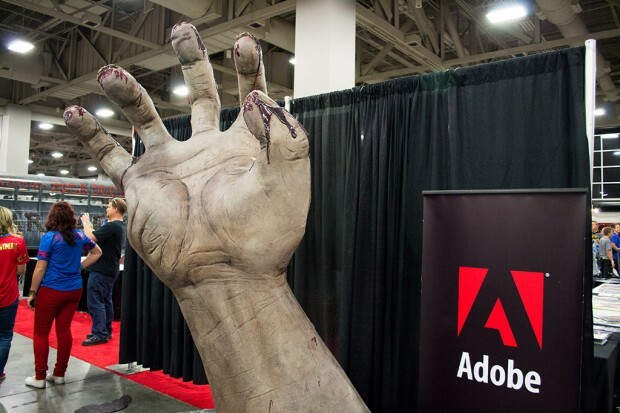 A mangled hand model was on display at the Adobe booth for Salt Lake Comic Con 2013. 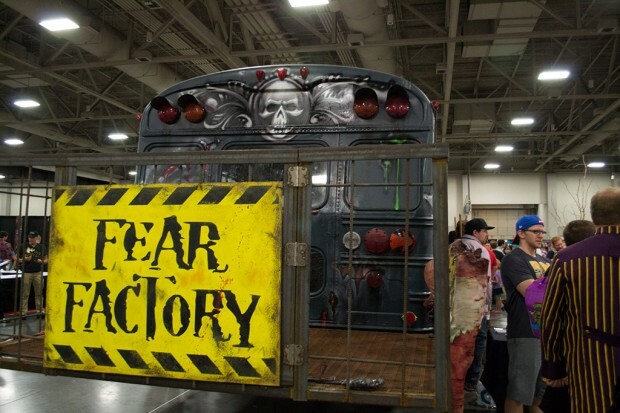 The Fear Factory display at Salt Lake Comic Con 2013. 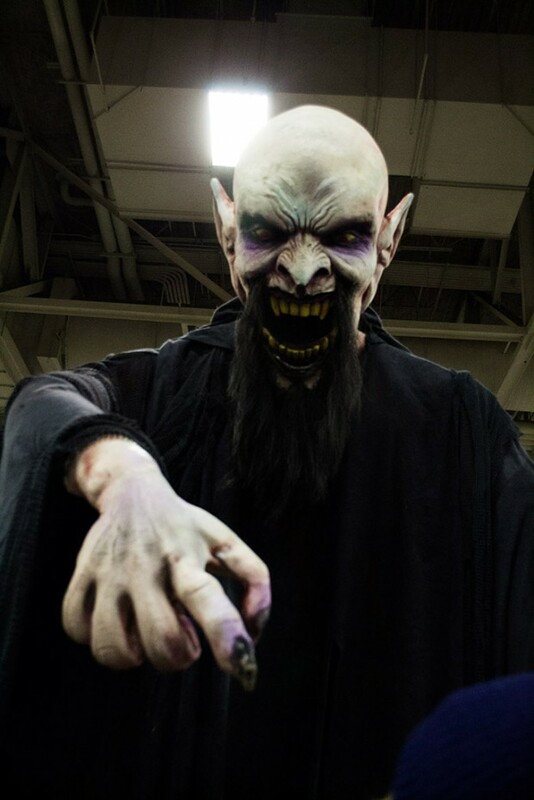 A scary display from Fear Factory at Salt Lake Comic Con 2013.